You should make your own best choice when you try to ensure of keeping your weight under control during Navratri. Well it is very important for you to make sure of taking the right steps do that you can try to ensure of finding the best diet plans. This would help you to find that it has been possible to provide you with the maximum amount of satisfaction out of it. 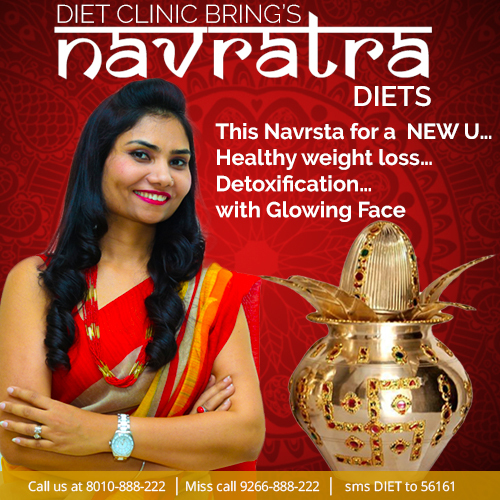 It would make it possible to find the right diet plan for Navratri from Diet Clinic that would lead to feel that it has been your ultimate choice that you have made. So, you should definitely try to look forward to contacting us where it would help you to feel proud of your selection. Get stress diets: It is possible for you to make sure of getting hold of the best stress diets that would help in a good way to enjoy a good health. This would lead to feel proud of your own choice which you have been able to make. By choosing the best diets for you, it would help in a good way to find the maximum amount of fulfillment. Expect the best result: You can expect to get the best result from the dietician Sheela Seharawat that would help you to enjoy Navratri without any worry at all. So you can expect to get the ultimate satisfaction out of it that would never make you find disappointed. Weight loss has never been simpler. Download Diet Clinic Mobile App and get best advice to lose weight.